Please introduce yourself and give a brief overview of your career. 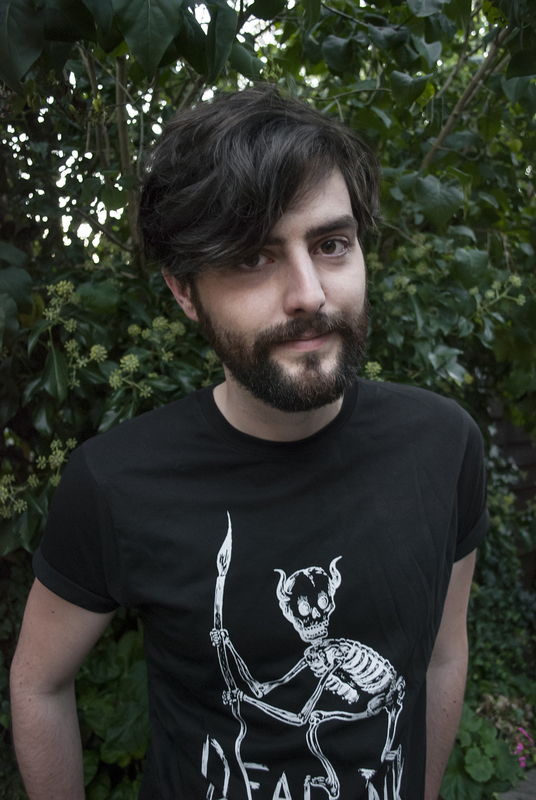 I’m Nathan Connolly and I’m the Publishing Director of Dead Ink. I started in Publishing when I began The Night Light, an online literary magazine, after graduating from University. I’ve worked with The Big Issue in the North, Crécy Publishing and The Society of Young Publishers. Tell us about Dead Ink Books – how did the company come about? What’s its premise? Dead Ink started towards the end of 2010 and it was set up with funding from Arts Council England as a digital-only press. This was around the time that ebooks were really just starting to blow up and there was a lot of both panic and optimism in the industry. With Dead Ink we were experimenting with what a book could be – at a time when that really did seem to be a valid question. As the industry started to come to terms with digital, Dead Ink released its first print titles. When Dead Ink began, it was the medium that we thought was revolutionary. As we developed it became clear that the biggest opportunity presented by digital technology wasn’t in restricting ourselves to solely digital books but in connecting readers to them. Our focus now is based on two strands. The first is to develop the careers of new literary authors and the second is to do that through experimentation with digital technology in publishing. What challenges did you face setting up Dead Ink Books? The challenge of setting up a small press today is that the industry is becoming increasingly concentrated and homogenous in terms of both publishing and retail. We’re fortunate in that we are represented by Inpress books who fight our corner, but overall I think the industry is becoming harder and harder to survive in. I wouldn’t be surprised to see further concentrations taking place in terms of partnerships and mergers. I think this challenge is also an opportunity, though: publishing needs challenging small presses and I think readers enjoy them too. Hopefully the tide will begin to turn in the next few years and the independents will win back some influence and breathing space. Maybe it’s already begun? What kind of literature do you publish? We’re interested mainly in literary fiction. Specifically, we want fiction that is challenging, brave and confident. I try not to define the specifics of what I’m looking for too much. I worry that I will put someone off who would otherwise have been great. I think all the books that I have published so far have surprised me. I wasn’t looking for them and I didn’t expect them. What achievement to date are you particularly proud of? We work almost exclusively with debut authors and I think that is something that I’m particularly proud of. We take a huge risk on every author that we publish and put all of our resources into making their book, and their career, a success. Receiving a manuscript and taking it through the long road to publication isn’t an easy process and there is a lot that can go wrong. When we finally receive those books from the printer and we get to give them to a writer who has spent years of their life trying to reach that point then it becomes obvious that all the sweat and tears were worth it. Each time we reach that point we’re reminded of why we started Dead Ink in the first place. Despite our commitment to author development and technological innovation we’ve always been motivated to take a risk on people that nobody else will. That’s what I’m proud of. How have you managed to build a community around Dead Ink Books? This is a huge question and one we still don’t have the complete answer to. In fact, this is one of the major questions that we have to ask ourselves every single day in order to make the press work. I think that we’ve been lucky in that readers seem to get what we’re doing and completely engage with it. There are a lot of safe decisions being made in the industry and I suspect that they find it refreshing to see a small press based entirely on the concept of taking a risk. Authors frequently commit years of their life to working on a book which may never see the light of day. They’re innately risk-takers and when they see a press with that same conviction I think it is refreshing. On the other hand we commit a great deal of resources to building that community. We get out there into the world and interact with writers at readings and events. We also try to treat our readers as a community not just customers. They’re the reason that we’ve got this far and every time they do buy a book they are having an impact. I think people appreciate that connection. We’re very much not faceless. Why is it important to have a range of both digital and print books? This question plagued us when we were digital-only and we always wondered if we were doing the right thing by focusing on a single medium. Eventually we decided that we weren’t. What is important about digital technology isn’t the end product. People want the option to choose whatever they individually prefer. The important part is how we connect. When we were creating just digital books we were holding ourselves back. The success of that time was the community we had built. When we transitioned to paper books that became apparent and we’ve been growing steadily since. Readers want options and they want to feel involved. What lessons have you learned about marketing books – what works and what doesn’t? I still don’t know the answer to what makes a book sell. I only know how we have made it work for us. We don’t have unlimited reach or resources. There’s very little that we can do to actually market the books in a traditional sense. What has worked for us is to build a community and reward everyone involved for the contribution that they make. I think early on we realised that we couldn’t just treat someone like a customer and forget about them. We really owe everything to the people who buy our books, so it didn’t seem right or fair to just market to them. If someone buys a Dead Ink book then they are taking a risk – just as we are in publishing it – and I think that sort of commitment deserves recognition and reward. That’s what I’ve tried to achieve with the community aspect of Dead Ink and I think that is what keeps us going. What are you looking forward to for 2016? 2016 is going to be a big year for us with a lot happening. We’re already looking for next year’s authors and hopefully it will be our largest list yet. There are a few authors that we’re already interested in. There are also going to be further developments in terms of our organisation and technology. I’m still thinking about the relationship between all of the elements of Dead Ink, and in 2016 that should not only grow but also develop to include something completely new. Readers should expect more books as always, but also a new way to engage with a new type of literature. That’s all you’re getting for now though. We have to maintain an air of mystery. I am Emmanuel Kolade – an entrepreneur and experience designer. In my 14-year career as a designer, I have consulted for large clients across a wide array of industries to provide digital products or services for their people – be it customers, clients or employees. As a designer, I have always had an eye for and limited supply of patience for systems, services or products when they don’t work well enough. Or should I say, as well as I think they should? I am also the founder of Shulph – an exciting new platform that allows book lovers harmonise their print and digital bookshelves. Shulph – what’s it all about and how did it begin? Shulph is an aggregator of a book lover’s print & digital bookshelves. It does this by enabling readers to buy a book once, but read it across multiple formats any time they want. Shulph follows and leads the reader through their buying and reading experience all the way from bookstores and online/in-app downloads to reading print and e-books. In short, we remove the friction people often experience when deciding whether to buy a book in print or digital format, but rather free the reader to move in and out of physical and digital spaces according to their contextual need at the moment in time when they need to read the title. Shulph came from a dark but special place. The product was born from a personal frustration I have felt for some time. I read lots of nonfiction books. Some fiction books too, but if you take a look at my bookshelf, you’ll find more self-help, academic and professional textbooks than crime, science fiction and thriller titles. I often experienced frustration when trying to reference content from one of my textbooks but couldn’t get access to it because it was either sitting in my shelf at home while I’m at work and I don’t have it in e-book. Or I want to re-read a fiction title I love but don’t want to carry the heavy hardback I bought excitedly on release day with me on the crammed train ride to work. These situations infuriate me to this day. When I fall in love with a title, I end up buying it twice. I’ve got several books in both print and digital formats because I want anytime, on-the-whim access to them. I am attached to my books like that. I initially thought I was the only person who felt this way until I started having conversations with other book lovers and they shared similar stories with me. Who are the people behind Shulph? I am working together with a small team of passionate believers. Mainly technologist who agree with me that the notion of readers having anytime, anywhere and any-format access to their library or shelf of books is one that needs to exist in the world. What gap in the market do you think Shulph can fill? The Shulph platform will appeal to readers who don’t want to be bound by format. There are those of us who believe that people shouldn’t have to choose between print and digital content. People who want to be able to put a print book down at page 15 to continue page 16 on a device because it suits their context at that moment and vice versa. Why does Shulph seek to harmonize e-books with print books? Do you buy into the idea that the print book is dying a slow death? The print book is not going away anytime soon. The dust is started to settle from the disruption that came about from the rise of e-books. My view is that both formats should complement –not compete with – each other. Both formats have very compelling use cases that it does not make sense that people find themselves choosing one over the other. There are things digital books are great at which the print does not offer, and experiences that print books offer that digital can never replicate. Alternate endings and title updates (like app updates) are exciting prospects for the digital book in future. The print book offers tactile feedback and engages our senses in way that a digitally flipped pages just can’t. That synchronisation of people’s digital and physical bookshelves needs to happen because not having to choose should be a choice too. What are you particularly excited about for the launch of Shulph in 2016? I can’t wait to see book lovers experience what is coming their way. Shulph will provide a liberating model to buyers of literature and I am just so excited to hear people describe how they feel about it. I think many people will eventually wonder how they ever lived without this service. In your view, what do companies need to do in today’s ever-changing book industry to stay alive? The book industry is quite an interesting one and we’re constantly having conversations with industry stakeholders including publishers, booksellers, authors and agents. Every one of these players needs to put the reader at the centre of their business strategy. Publishers, for example, need to stop thinking of booksellers as their customers. Booksellers need to evolve what the in-store customer browsing and buying experience look like. We see bookstores as the most vulnerable players in the industry, and we are weaving the Shulph platform right into the ecosystem of bookstores. Our platform will drive customer traffic into bookstores and see them even start to fulfil book orders for local delivery or click-and-collect. Authors need to engage more with readers through concepts like creating organic, evolvable titles. The concept of alternate endings and app-style update for titles are some interesting evolutions and innovations that authors and their agents should be thinking about. In general and across most industries, customers are moving into a place where they expect to be able to engage with products and services through multiple entry points. Omni-channel customer experiences are quite becoming the next frontier for competitive commercial advantage. Publishers and booksellers will need to wake up to this imminent future sooner or later. Personally, are you a big reader? If so, what have you read recently that really made an impact on you? I am always reading something. I go through the nonfiction titles more quickly mainly because I apply them to my life almost instantly. I am currently re-reading a book titled ‘Zero to One’ by Peter Thiel. It’s a beautiful entrepreneurial book that talks about how the world is made better when we create new things that didn’t exist before. The ideas in the book keep me going when I often hit massive dead-ends on the road to bringing Shulph to the world. To sign up for exciting launch updates and further information, visit www.shulph.co. The Print vs. Digital Argument – Should Sentiment Be Ignored? 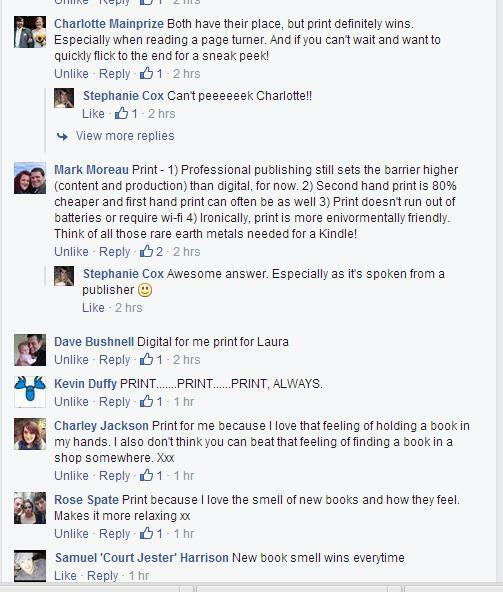 So here we go again: the Digital vs. Print debate. I fully understand that there are many, many posts on this subject, and I can’t even pretend to know in depth or to have studied intently the data and statistics behind this huge publishing topic. I have read numerous articles from a large number of sources, all more equipped with and informed by numbers that I personally don’t have. But I guess I’m not pretending that this article is going to be backed up by lots of figures and graphs, etc. I want this post to be a little more personal, sentimental and emotional than a market analysis. Now, I’m not going to pretend that any amount of my friends can be used as a sizeable enough sample – but just like the topic and nature of my post, I don’t want to look at this like a scientific or quantitative experiment. I want to look at it from a sociological and qualitative point of view. And I’m taking a look at the world directly around me. To this end, I asked my friends on Facebook which they preferred: digital or print? Out of 23 friends who answered, all but two of them said they preferred print. But again, it’s not really the numbers that mean anything, but rather the reasons behind their decisions. What I’ve noticed that with all of the responses I received is that those who answered that they prefer digital, or prefer print but still like digital, gave purely convenience and practical-based reasons. For example, one friend has severe arthritis and using a Kindle makes reading far easier for her than reading print books. Another friend has vision impairment and finds the ability to adjust font size a real help. One preferred to be able to carry around large numbers of books without using up a lot of space. Those who preferred print, however, tended to give reasons that were rooted in emotion and senses. And that’s the general theme of my post. 6 or 7 people claimed to love the smell of books. 3 people mentioned that cuddling up to read a good book somehow ‘doesn’t feel as cuddly’ when you’re holding onto plastic and metal. Many said that you can’t beat going into a good book shop and buying a physical copy, and that it reminds them of their childhood. One friend stated that ‘you can’t beat a gorgeous cover and pages to turn.’ (It’s also worth pointing out that print was also deemed to more ‘practical’ than digital in a number of ways, too – you can’t leave it hanging around on the beach, it makes people’s eyes blurry, charging is a pain). Two of my friends – Kevin Duffy and Mark Moreau, both of whom are publishers – also professed their love of print. Sentimentality and emotions play a big part in the book-lover universe. In my view, there is only so far that convenience can take priority over sentiment and emotion. We need our comfort, senses and emotions in life in order to make life worth living. In a world where I am reading more and more about Big Data and having to look at readers as statistics and figures, it just kind of helps the sentimental girl in me to look at things from this kind of perspective. To engage with other readers and take a look not at how their buying habits combine with others to form a large dataset (as critical as they are in today’s business, I admit) but rather at their emotions and their feelings toward the print book and its counterpart. I would also like to discuss this subject on a publishing business/community level as well. 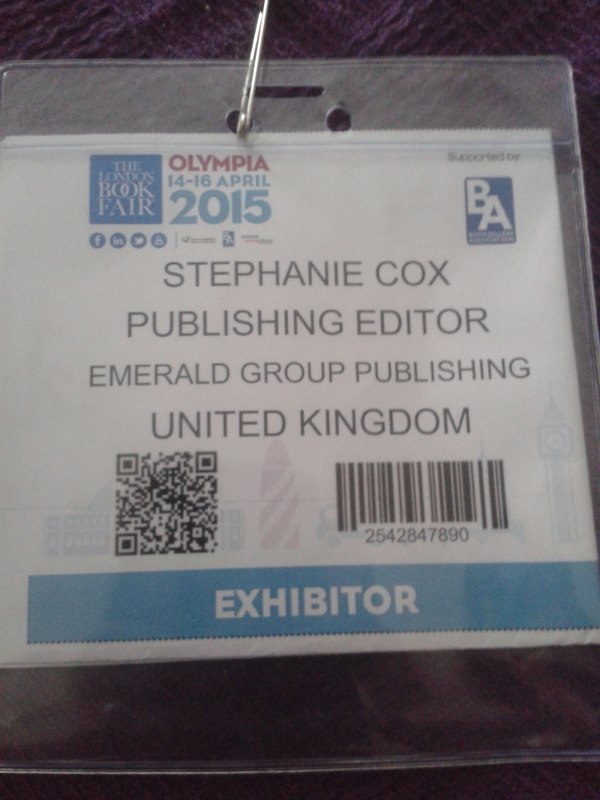 I’d want to talk about this year’s London Book Fair. A new generation of independent publishing companies, starting from scratch, are doing things rather differently. They are creating highly-desirable publications, putting editorial and design, innovation and creativity at the heart of what they do, and setting new trends and communicating with their audience. Each publisher spoke of the importance of preserving the print book in an increasingly digital age. Katharine Reeve kicked off proceedings by discussing the changes that are happening right now in the publishing world. Publishers are having to experiment with new, different formats to get their voices heard and their products noticed – among those are social media, talks and events, multi-channel marketing and, most importantly, experimenting with different types of print. The print book is still dominant, she said. And there are a number of publishers who are using that to their advantage. As well as this, new publishers don’t have that awkward transition from print to digital with their backlists – they can start both from scratch and make their products an art form. I think that was also an underlying theme in this discussion – that the print book, or pamphlet, or newsletter, or whichever format publishers are playing around with these days, can still be made into, and considered, an art form. The finished product means something to the owner. Miranda West of Do Books Company acknowledged customers’ appreciation of well-crafted, well-designed books. She pointed out that smaller publishing houses can think more about layout and the creative look of a book. They have complete creative freedom, and can use this to create a strong brand and a strong identity. Overall, she emphasised that books – and print books especially – can change lives and inspire, as well as being genuinely useful. Vince Medeiros of TCOLondon explored the idea of print and how it was majorly disrupted by the economic crisis and the growth of digital. But he also stressed that print and physical literature and books can give the reader things that digital will never be able to achieve. Magnets and heat sensitive paper are just a couple of his ideas for ways to be creative with print. He explained that these kinds of things can inspire a level of excitement that digital just can’t touch. 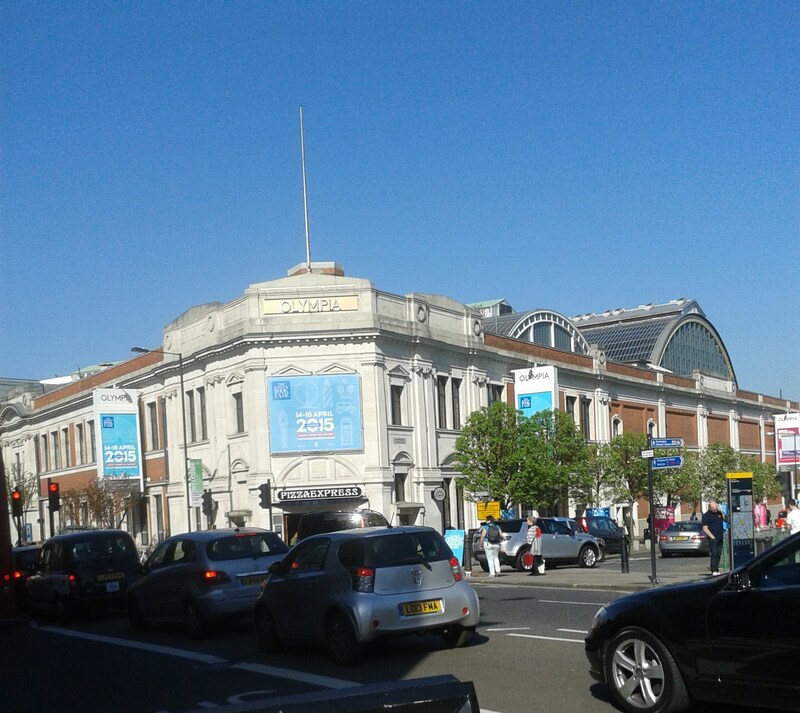 The London Book Fair at Olympia. Books are the perfect medium, he argued. Even some of the largest companies, like Apple, are producing print publications for their employees. And why print books? Because they add value. The scarcity of a finite print run gives them value. They are tangible. We can physically interact with them. This is not to say that print lovers and those who are still advocates of the print book are not moving with the times. Embracing print does not mean ignoring digital, and vice versa. As Caroline Harris of Harris & Wilson discussed, in these turbulent times publishers need to start positioning themselves as ‘brands’, and in order to achieve this publishers need to create a beautiful and well-crafted book or publication, and then build an online community by supporting the publication with extra media channels. It’s about publishing professions being responsive and agile. It’s about taking a look at the current climate and trends and being able to adapt your business to keep up with that, without losing the core focus and love of the print book. We can keep our love of the print book at the heart of what we do – it’s just that we can’t put all of our eggs into the ‘Just Books Basket’ any more. Business needs diversification. Her final point was that print books have even more value now, and are more desirable precisely because the general reading society perceives there to be a threat. Again, sentimentality and emotion kicks in here. We want to preserve what once made our culture so great. Perhaps I’m wrong, but I did get a sense here that the general argument was that we’re not necessarily now living in a ‘digital first’ era, but rather publishers are using digital in order to strengthen the particular book or publication. In other words, the whole thing becomes a brand rather than a product. And a brand can produce a core idea or value in many different formats. For this reason, and this is just my own point of view, I think that while this is true of business, one format will not kill the other. We need sentimentality just as much as we need convenience. One does not necessarily trump the other. My overall argument here is that the reason I don’t believe that print will go the same way as other outdated formats and become completely obsolete is because, while there are still humans out there, there will always be some level of sentimentality. And I believe there is enough sentimentality and love out there to keep the print format alive. It may be smaller than before, and it may be facing opposition – but this publishing enthusiast believes it will always be around. Call me old-fashioned. Or maybe I’m just a bit sentimental. 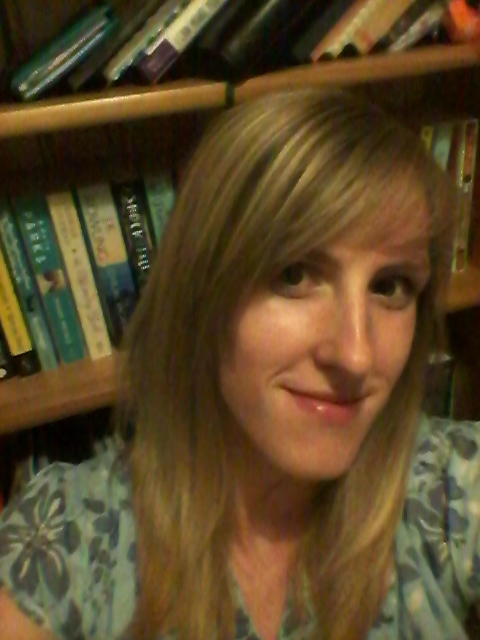 Me and my book shelf – can you tell which format I prefer? What do you think of this ongoing argument? Which still has your heart – print or digital? Please introduce yourself! What is your personal and professional background, and how did you get into publishing? I am Andri Nel and I live in Pretoria, South Africa. 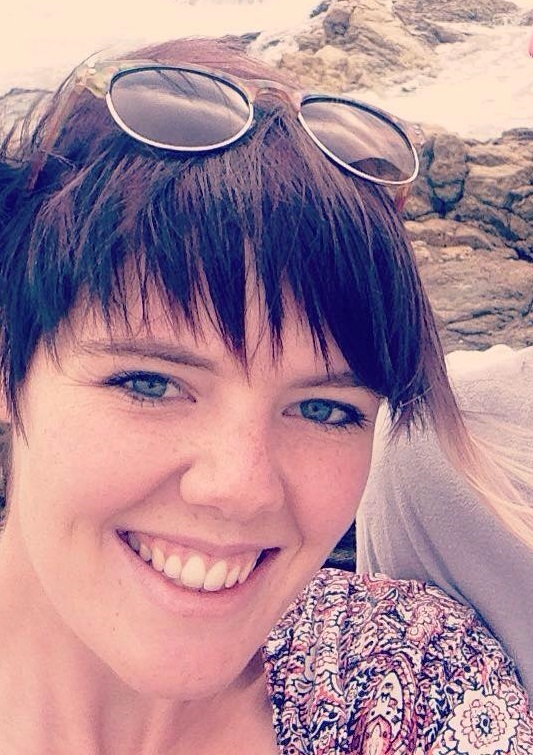 I completed my Publishing honours degree at the University of Pretoria, the only University of South Africa where you can study publishing, at the end of 2014 (our semesters work on full years not half years) and I will be furthering my studies at Oxford Brookes University on September when I start my Masters in Digital Publishing. Digital Publishing is my passion. I fell in love with it 3 years ago in my final year of my undergraduate degree and have been working in as many fields of digital publishing as I can here in South Africa. During the years in which I completed my honours degree I entered the world of freelance digital publishing, doing both conversions and drawing up digital publishing strategies for publishers. Digital publishing is a very young field and one that is even more daunting to most publishers in South Africa where we are still struggling with a very bad reading culture, poverty and very little access to the internet in the rural areas. 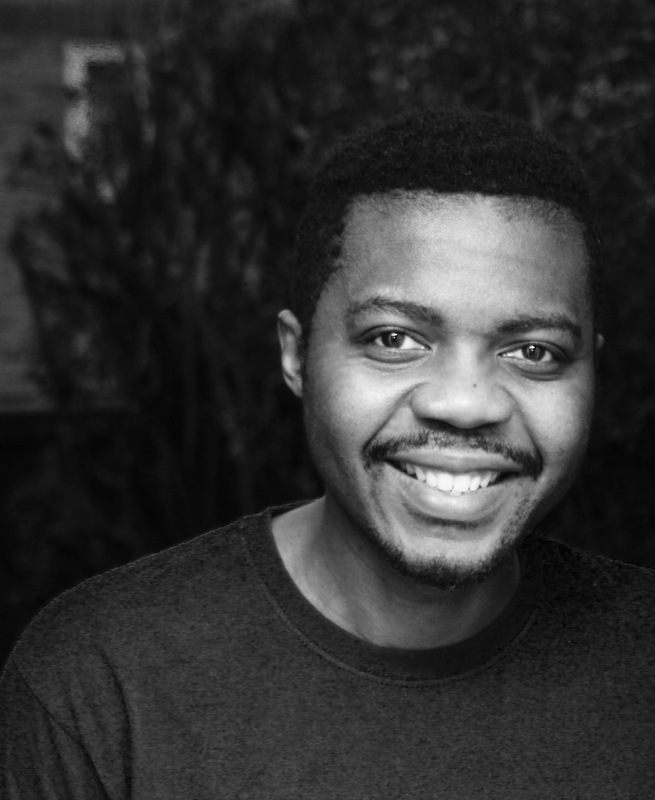 My personal goal is to help break the ice in this field and make digital publishing accessible to all publishers and use it to enhance the reading culture in the eleven official languages of South Africa. Tell us about the company you work for. What type of publishing do you work in? I am involved in a number of projects in the field of publishing, all focussing on digital publishing. As a freelancer I am currently working on the implementation of a digital publishing strategy for a nature publisher, Briza Publications, as well as the conversion, selling and launching of an independent author’s book on the compilation of prison letters by Ghandi’s son in law during Apartheid South Africa. To keep the bread on the table I work on projects in educational digital publishing and have perfected the art of editing eBooks on screen. It was a learning curve as this is not a field which has been practiced a lot in South African publishing. As a freelancer my target audience is publishing houses looking to venture into digital publishing and independent authors wanting to self-publish in digital format. KliekClick’s target audience is children between the ages of 9 and 15, but also their parents as they are the ones with the money (of course). 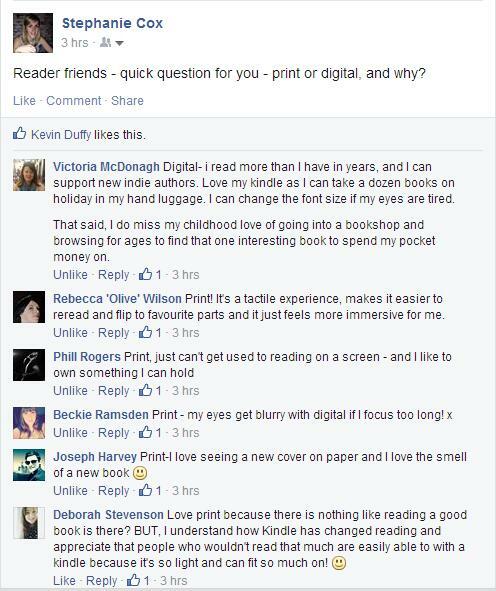 What excites you most about digital publishing? The possibilities digital publishing holds for publishing and especially publishing in South Africa. It is still a challenge for publishers in South Africa to understand that eBooks are not a replacement for print book (especially not in South Africa’s economic climate), but rather an extension. What excited me about working with publishers is teaching them new skills and seeing them get excited about the new ventures. What excited me about KliekClick is the opportunity we are giving short story authors, who are mostly turned down by big publishers, to have their stories published and the positive response we receive from both parents and children about the stories and the new experience they are having by buying and reading digitally. 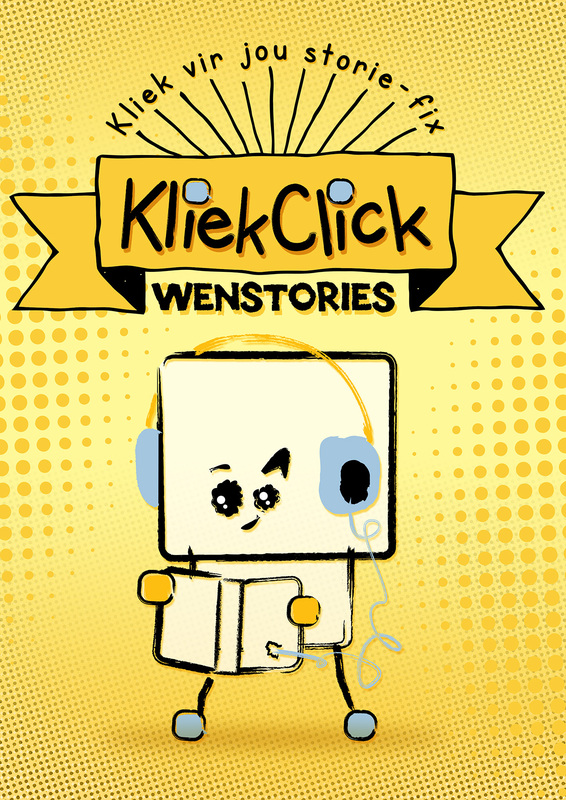 KliekClick, the independent digital publishing company started by Andri Nel and three colleagues. How well received is digital publishing in South Africa? Is there a large publishing industry and a lot of publishers where you live? Publishing in South Africa is mainly monopolised by the group NB Publishers, who own most of the smaller publishers, and then a lot of international publishers with branches here such as Penguin Random House, Oxford University Press and Pearson. Smaller publishers in South Africa focus on the niche markets such as language or nature. The industry itself is very small in South Africa though and is very female dominant, it really seems everyone knows everyone. Digital publishing is still very new to South African publishing and many publishers are reluctant to venture into it. There are almost no South African publishers that publish in digital first format or even bring out a digital edition along with their print edition. Most eBooks are only backlist titles. Educational publishing has been more willing to enter into digital publishing as the Department of Education is pushing for digital learning in schools. The reluctance of most publishers is understandable as there are not real publishers with the necessary skills in digital publishing here yet (the digital publishing program was only added to the publishing curriculum 4 years ago) and because of the lack of internet infrastructure we have in the country. Most people cannot afford eReaders and tablets and despite internet connection being relatively good in the cities, some rural areas do not have any internet connection. Some publishers have started the transition, but there are still many obstacles to overcome for digital publishing. Do you agree with the view point that is being widely discussed at the moment, about how all publishing professionals will soon need digital publishing skills to stay ahead in the game? I think all publishers should have an understanding of all skills and fields in publishing. For example any publisher should have at least a minimal understanding of copy editing and proofreading. I think the same goes for digital publishing. Everyone in publishing should understand how it works and understand the “lingo” but not everyone needs to be a developer, not everyone needs to know how to code and create the eBook from scratch. It is a matter of understanding the field and how it fits in with your field of publishing. eBooks are not a replacement for the print book, but rather an extension. What do you feel are the advantages of digital publishing? There are many generic advantages such as lower environmental impact, lower production costs (sometimes) and readers always being able to have their books with them. However I think the biggest advantage of digital publishing is the enhancement it can give to publishing. Not all books should be eBooks, I truly believe that, but those that are should not simply be a print book in digital format, what is the use. eBooks, in my opinion, should be advanced with media overlays, videos, links inside the book and outside the books. For publishers I think the biggest advantage of digital publishing is that for the first time in a long time, we can be completely creative, almost crazy, again and think outside the box. It makes for an exciting new chapter for publishing in general. I think all publishers should have an understanding of all skills and fields in publishing. 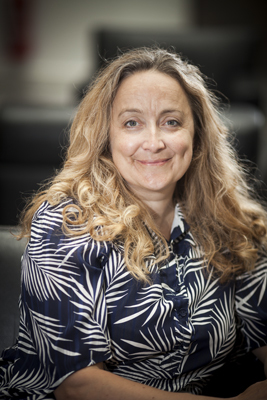 What are the challenges facing digital publishing at the moment? I think one of the biggest challenges is the platforms we are currently reading eBooks on. There is such a variety, but at the same time no real standard. Not only does this confuse readers and in many cases make them turn from eBooks all together, but it also makes the publisher’s job very difficult. Each platform it seems uses its own format and own DRM (which is a challenge in its own right) and it is becoming increasingly difficult to create one file which can work on all platforms. Even though productions costs might not be as high as print, they are pushed up because compatibility tests now need to be done on all different readers. Maybe it will never happen, but ultimately I think it would be best if there was one true standard for all eBooks which could allow easy reading and even sharing amongst readers. 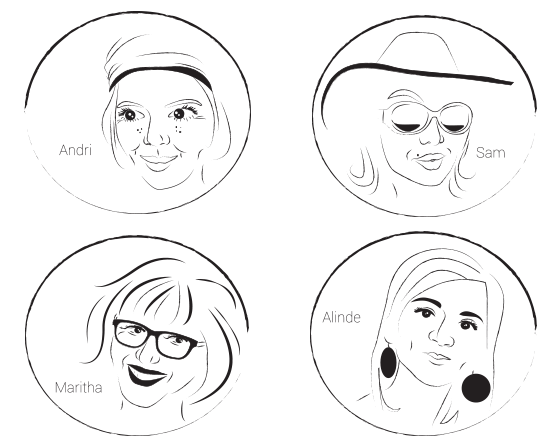 Cartoon of Andri and her publishing colleagues. In your point of view, will digital make print obsolete, or compliment it? I don’t think digital will replace print, but rather enhance it. Some people will always read print books (no matter their age) others will prefer digital. Some books will always be better in print, others in digital. I compare it to paperback and hardcover, the one enhanced the other, neither one overshadows the other. I love reading classics (over and over again), biographies and Afrikaans novels, as I still love the way the Afrikaans language has evolved on the writing front.